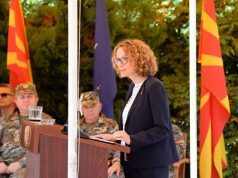 PRISTINA – A change of command between Major General Salvatore Cuoci and Major General Lorenzo D’ Addario took place last week at KFOR’s headquarters in Pristina. The procedure was administered by US General James Foggo, Commander of NATO’s Allied Joint Force Command Naples. 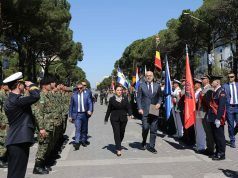 The ceremony was also attended by Prime Minister of Kosovo Ramush Haradinaj, who expressed his gratitude to KFOR and especially lauded General Cuoci for, as he said, a well-done job. General Cuoci said that he is especially proud of the progress between KFOR and Serbian Armed Forces, achieved during his mandate. 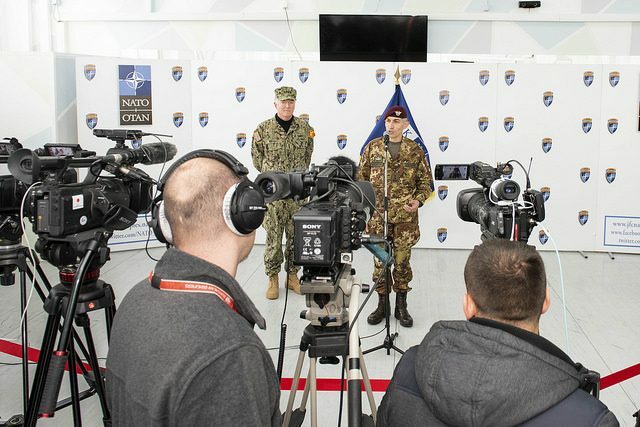 “It resulted in the increase of a number of joint KFOR patrols that take place in complete synchronisation with Serbian Armed Forces, establishing conditions for greater security along administrative line as a result of increased communication and mutual trust”, said Cuoci, who has been Commander since 15 November last year. General D’ Addario is the 23rd Commander of KFOR since its establishment in 1999. Under his command will be 5000 members from 29 countries. He graduated at the Military Academy in Naples, and received further education in the United Kingdom. During the 1990s, he participated in operations in North Iraq and Somalia, as well as providing military support to civil authorities of Sicily. D’ Addario was a member of 1999 Operation Joint Guardian in Kosovo, where he returned in 2003-2004 as a part of Operation Decisive Endeavour. From 2015, he has been Deputy Head at the Plans and Policy Division, Italian Defence General Staff. During today’s talk with Prime Minister of Kosovo Ramush Haradinaj, D’ Addario stated that he will give his contribution to securing peace and sustainable security at the territory of Kosovo. D’ Addario said that he was open for cooperation with political leaders in Pristina with the aim of guaranteeing security and peace in Kosovo, Koha reported. 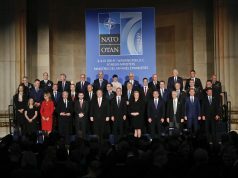 Haradinaj in turn stated that the role of KFOR is necessary in Kosovo, adding that his government is committed to close cooperation in the interest of security.